Elite M3 Medic Bag | BUDK.com - Knives & Swords At The Lowest Prices! 1 - Sterile Flushing Solution2 - Tongue Depressors1 - Hand Soap2 - Bandage Gauze, 4" x 4.1 yds.1 - BleedStop Bandage4 - 4" x 4" Sterile Sponges4 - Abdominal Pad, 5" x 9"
The M3 Medic Bag is a G.I. 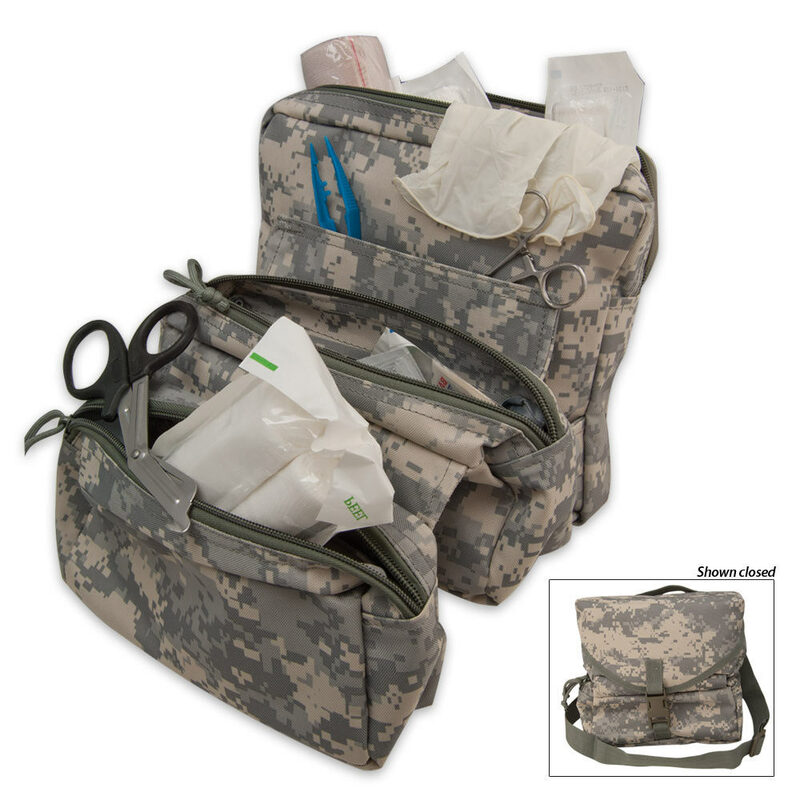 style issued kit that folds out three ways for easy and quick access to all your first aid supplies. The bag measures 8 inch x 7 inch x 9 inch is made out of durable ballistic grade nylon, has a shoulder and M.O.L.L.E. straps. The complete kit weighs 3.9 lbs.